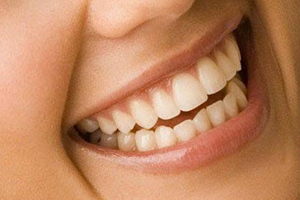 Another approach to replacing missing teeth is the use of dental implants. The implant serves as the root of the tooth, and a crown goes on top to take the place of the missing tooth. Three separate pieces are involved: (1) the actual implant in the bone, (2) the abutment, which screws into the implant and sticks through the gums, and (3) the crown, which is either cemented or screwed on the abutment. The implant is surgically inserted into the jawbone. Usually it’s left alone to heal and integrate for four to six months, although sometimes a temporary crown can be placed on an implant right away. In some cases, there’s not adequate bone available for the implant, so some type of graft must be done first. In other cases, the bone quality and quantity are excellent and the crown may be placed immediately. Numerous types of implants abound, and the technology keeps changing rapidly. That’s why it’s important to do your research. General dentists, as well as specialists like periodontists and oral surgeons, can place implants. Implants can also help retain loose dentures or non-removable bridges that replace an entire arch of missing teeth. Bonus: Implants decrease or prevent bone loss. When teeth are missing, the bone tends shrink or disappear, which can be disastrous for denture wearers. This bone loss may also compromise the cosmetics of a smile because the bone in that area appears sunken.